← The Whirlwind Whiz Tool! One of our staff members is a Girl Scout leader, and one of her Scouts, Erika, was working on her Gold Award, the highest award given by the Girl Scouts. 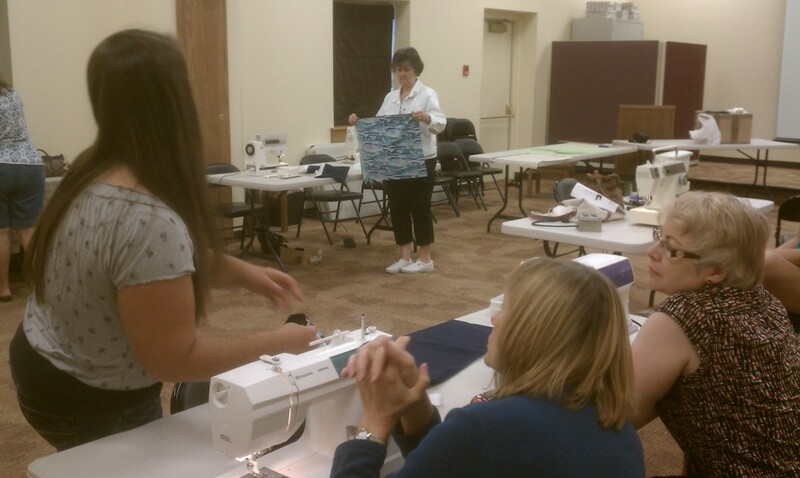 A variety of quilters in the QuiltWoman.com family were recruited to help. Erika’s project involved Art Therapy. She led the construction of 60 “Doodle Bags” and filled them with crayons, coloring books, and a “Feel Good” booklet that she put together. The design for the Doodle Bag came from one of our designers, Jen Eskridge. 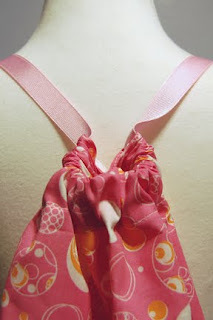 A while back, she had posted on her ReannaLily Designs website a tutorial on constructing a fat quarter drawstring backpack . We remembered that and let Erika know. That took care of the need for a pattern. Fat Quarters were needed next. A local quilt shop donated over 50 fat quarters. The rest of the fabric came from donations from various church sewing groups. 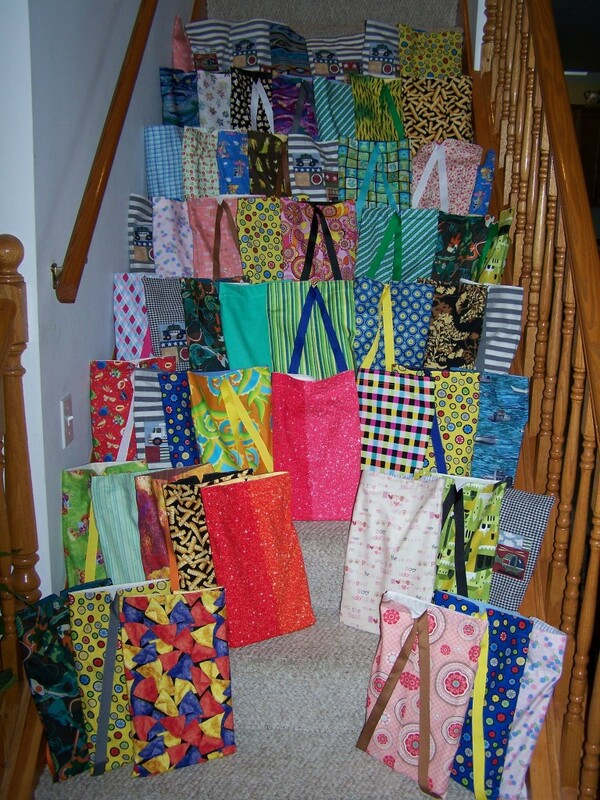 When it came time to sew the bags, Erika tapped a number of groups. One group included some QuiltWoman.com designers. Alison Vandertang and Ann Dudek joined forces with other local quilters and helped sew the Doodle Bags. The final contribution from the quilting community came from QuiltWoman.com. Erika needed to get her booklet published, and we just happen to be publishers. Nancy Dill, our company president and herself a former Girl Scout leader, subsidized printing of the booklets (shown below under the coloring book). 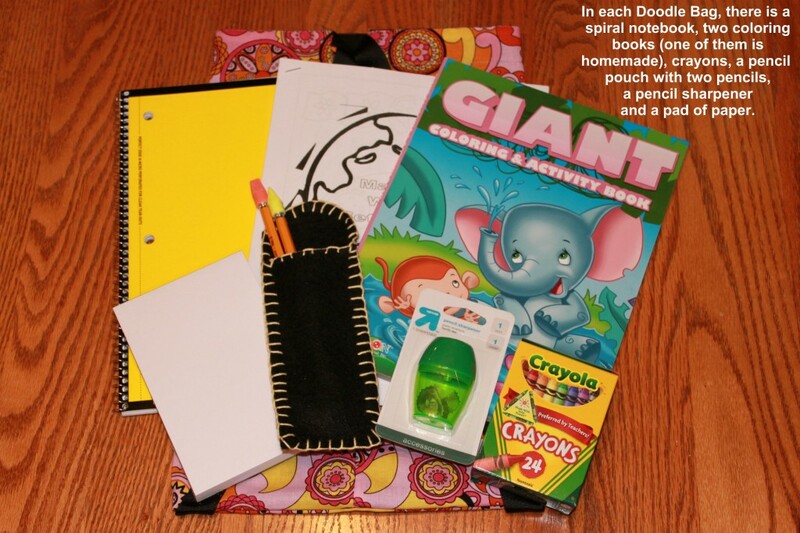 The Doodle Bags were donated to the Golisano Children’s Hospital at the University of Rochester Medical Center. Young patients there will use them to help make their stays a little more pleasant. It is always great to see a young lady succeed at a major project that gives back to the community. It is equally great to see the quilting community step up and help out. We’ve always said “Quilters are the best.” This proves it! Congratulations Erika on your Gold Award. All of us quilters were glad to help! This entry was posted in Fun!, QuiltWoman and tagged Alison Vandertang, Ann Dudek, Charity, Jen Eskridge, Nancy Dill. Bookmark the permalink. I know this is off topic but I just had to ask. Appreciate it!